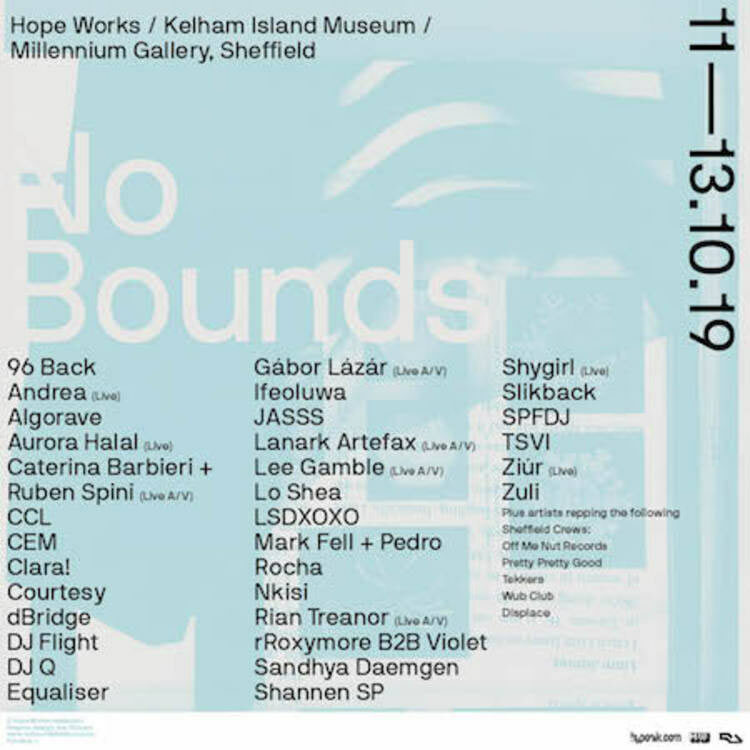 No Bounds returns to Sheffield for the weekend of October 11th. The third installment of the festival will be exploring the spontaneous, the joyfully unexpected and the sensory rich. Judging from another successful run last October, No Bounds Festival is going from strength to strength. The unique weekend event offers a new dimension to the Sheffield festival scene which has proved popular amongst the masses. Although October may seem quite far away yet, its not too soon to dig out that raver jacket and practice those dance moves as the first wave of acts for the festival have been announced. Taking to the multitude of stages over the course of the weekend are the likes of Aurora Halal , Caterina Barbieri + Reuben Spini , Courtesy, dBridge, DJ Q, Gábor Lázár and Shygirl, with more headliners yet to be confirmed.